Jurassic Park didn’t exactly tone down its violence and make its dino-stars seem like friendly petting zoo fodder, but that didn’t stop a part of me from fantasizing about one day riding a velociraptor like a mighty stallion. A fantasy that, thanks to Fisher-Price, can now be a reality for kids with this Power Wheels Dino Racer. 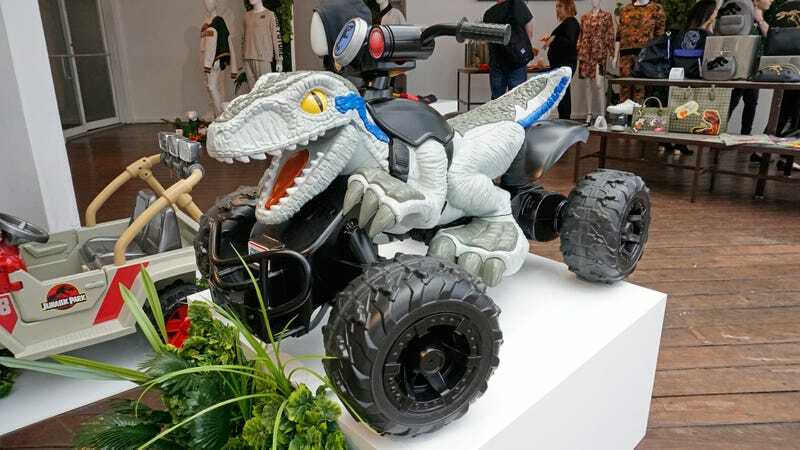 Available sometime this Spring ahead of Jurassic World: Fallen Kingdom’s June 22 release, the Dino Racer throws a set of four off-road wheels on Blue the velociraptor, as well as a set of handlebars that lets kids roar through the jungle at speeds of up to six miles per hour—although that can be electronically limited by a parent if you don’t want your kids to have any fun. Power Wheels toys have never been cheap, but the Dino Racer’s $260 price tag isn’t the most disappointing feature of this ride-on toy. It’s the 65-pound weight limit that crushes my spirits, and my dreams of being the world’s first equestrian-esque velociraptor rider. 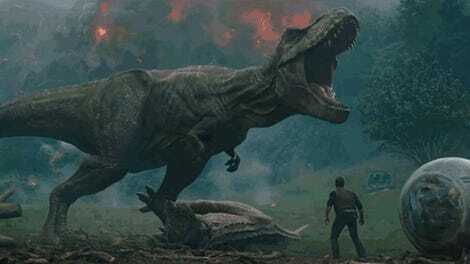 Ready to head back to Jurassic World?